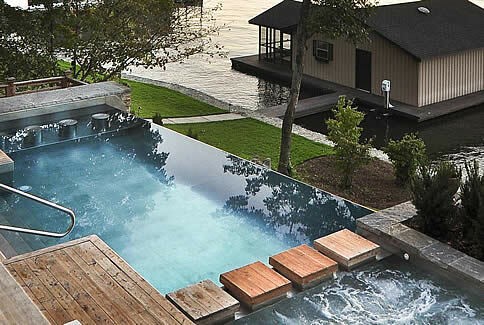 Why use stainless steel for your backyard pool? Stainless Aquatics is a division of Island Construction Corporation, a San Diego based construction company who has been in business since 1982. Our team has over 30 years of experience working with homeowners on pool and spa projects as well as doing complete backyard renovations. Our residential pool installation and construction capabilities allow us to be a one-stop shop for your home improvement project. We offer services ranging from from building pool decks and masonry to installing new pools or even repairing your old worn out pool. Since we are a division of Island Construction we are able to do complete backyard renovation projects and easily bring in multiple resources for any size project. Our team can assist you in choosing the right aquatic solution for your home or if needed we can seamlessly work with your designer to execute an existing plan. 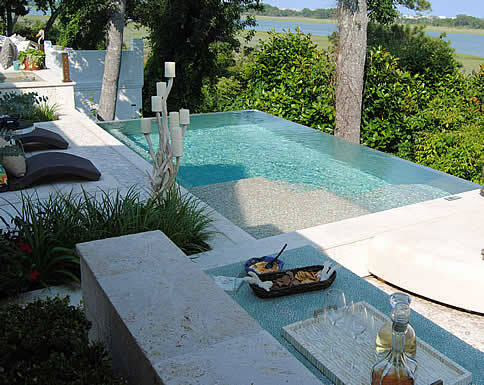 We can design and install the pool of your dreams to help to convert your home into your own private spa retreat! 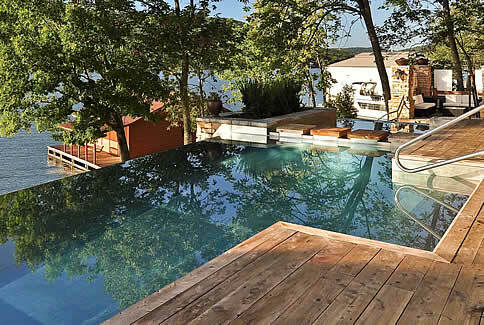 We work with both stainless steel pools as well as concrete pools and have the experience to make it a smooth process. 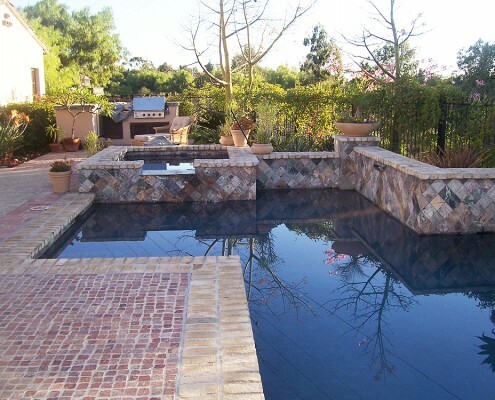 Our services include new installations as well as repair and replacement work on your current pool. The Stainless Aquatics team is well versed with helping our residential customers determine the best aquatic solution for their needs. We install a full range of high quality stainless steel spas and swim spas. We are also experienced in designing and installing a wide range of other water features. We have helped many satisfied customers convert their backyards into a private oasis with pools, hot tubs, waterfalls and fountains. We pride ourselves on our reputation for top quality and respect for your private spaces during the construction process. Client wanted to install a pool on their rooftop deck on Wilshire Boulevard in Los Angeles. We used stainless steel and a helicopter to make this happen for them. Project required a podium level deck pool and spa which we fabricated using 304 stainless steel and then created an all tile finish complete with custom coping. To finish the install we brought the pool to the address by truck and then had it lifted and placed with a helicopter.